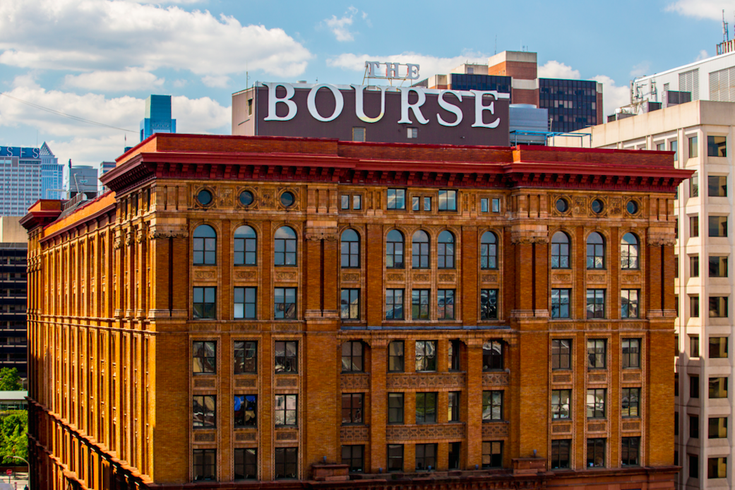 The Bourse Marketplace, a food hall set to open this summer, will debut a pop-up beer garden on the building's front steps facing Independence Mall. The beer garden, which will be operated by BRÜ Craft & Wurst, will only be open for five days leading up to the Fourth of July. From Friday, June 29, to Tuesday, July 3, guests can hang out at the beer garden and take in views of the Independence National Historical Park. To drink, there will be $7 beers, including 2SP Delco Lager, Sly Fox Alex’s Lemon Wheat, Love City Unity IPA and Yards Pale Ale, as well as $10 cocktails from Bluebird Distilling. Soft pretzels ($1), hot dogs ($2), water ice ($3) and Bassett’s Ice Cream ($4) will be available to eat. The beer garden will be open noon to midnight each day.